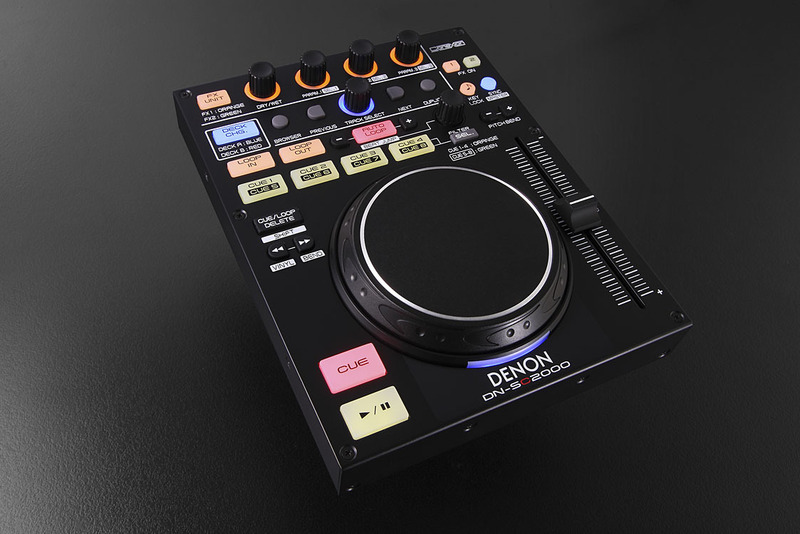 DN-SC2000, MIDI Control Surface for DJ from Denon DJ. 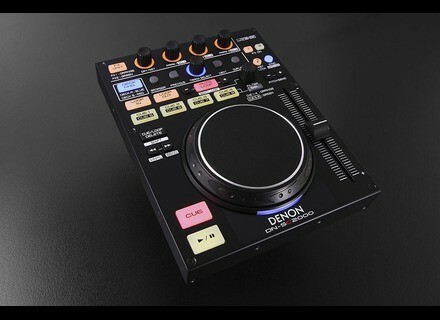 Denon DJ is showing the DN-SC2000 controller at NAMM 2011. The DN-SC2000 is optimised for TRAKTOR Pro users and natively supported by Virtual DJ. The unit connects with the user's PC or Macvia a USB 2.0 interface. It includes MIDI-mappable capability, auto loop function, a range of effects, pitch slider, pitch lock, automatic beat sync, rubber button controls and more. The DN-SC2000 measures 6.7" x 1.2" x 8.6" and weighs approximately 2.9 lb. Power is supplied through the USB connection (i.e. no wall adapter needed), and a 1-meter (39.37") USB cable is included. The unit also features a Kensington lock security slot terminal to prevent theft. For more, read our previous article or visit Denon DJ. [NAMM] Numark DJ2GO Numark introduces the DJ2GO DJ micro-controller. [NAMM] Rane & Serato SL 4 Rane and Serato present the Rane SL 4 for Serato Scratch Live, a five-channel DJ interface.